Stevante Clark called on California’s attorney general to prosecute them after the local district attorney declined to do so. 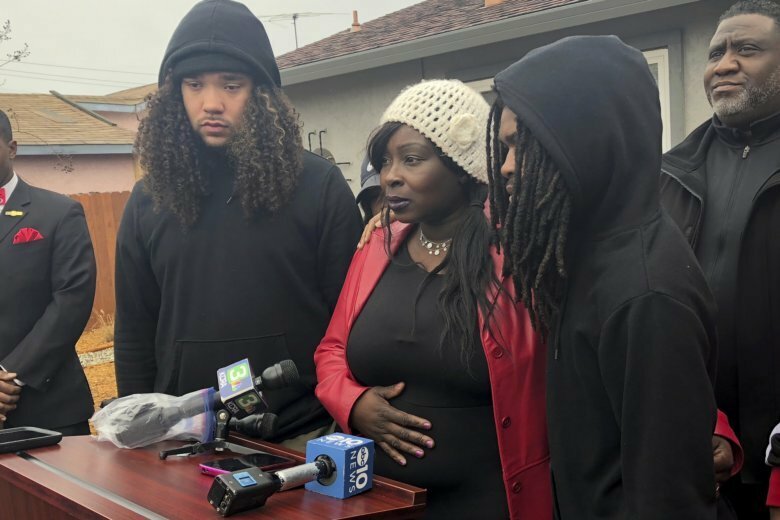 He told reporters his family was devastated, first by his brother Stephon’s killing last March as he held a cellphone, and again Saturday when Sacramento County District Attorney Anne Marie Schubert announced the officers would not be charged. “Our lives are suffering, our hearts are shattered, my family is in agony ever since the callous murder of my brother in my grandmother’s backyard,” the soft-spoken Clark told a news conference attended by his family and friends. Earlier Sunday the family’s attorney, Ben Crump, said on the Rev. Al Sharpton’s MSNBC program that state Attorney General Xavier Becerra is expected to release the findings of his own investigation into the shooting on March 18. That’s the anniversary of Clark’s death, and Crump said he anticipates a large protest at the state Capitol that day. There have been several in Sacramento since the shooting. In announcing that Officers Terrance Mercadal and Jared Robinet would not be charged, Schubert said prosecutors who reviewed video footage and other evidence determined they were telling the truth when they said they thought the cellphone Stephon Clark was holding was a gun. Schubert also said physical evidence revealed Clark was the vandalism suspect they were looking for who had just broken three vehicle windows and an elderly man’s sliding glass patio door before climbing a fence to reach his grandparents’ backyard. She said the 22-year-old had been going through a troubled time in the days leading up to the shooting. The mother of his two children had recently filed a domestic abuse complaint against him that could have put him in jail, Schubert said, adding he’d been researching suicide websites. Among them, she said, were those that suggested using a tranquilizer that was found in his body. His brother complained that revealing that information was an attempt to blame his brother for getting killed. Schubert, who called the shooting a tragedy, repeatedly apologized for raising the personal details during her hour-long presentation on Saturday. Stevante Clark said his family plans to mark the upcoming anniversary of his brother’s death with a weekend honoring his life that will begin on March 15 and conclude on March 18. He called on the community to remain peaceful. “Everything that’s peaceful that’s done, we support it,” he said, adding the family’s ultimate goal is to change laws to limit police shootings and to hold police departments more accountable. Police officials and Sacramento Mayor Darrell Steinberg have said that since the shooting the department has increased training, limited foot pursuits like those in the Clark case and committed to quickly releasing videos of officer-involved shootings. Clark said he appreciates all of that. “But at the end of the day Stephon is not here with us,” he said.